Released on Ryodisc. 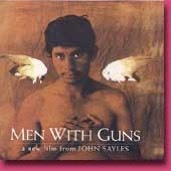 Soundtrack to the Sony Pictures film written & directed by John Sayles. Nancy performs occasional solo marimba cues (background music) composed by Mason Daring. The film is available on VHS.